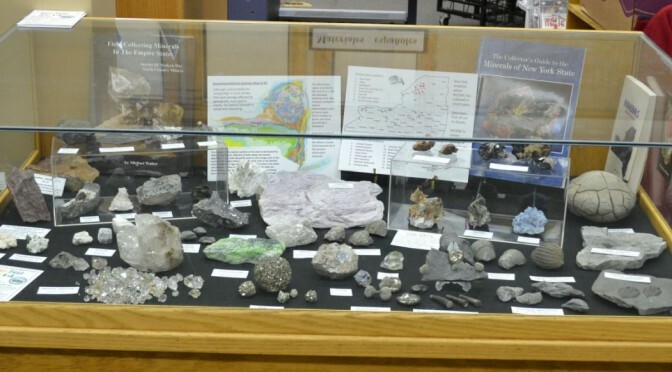 The Wayne County Gem and Mineral Club displayed some New York mineral and fossils that its members had collected in the Newark Library in May. Included were specimens from 21 sites, a location map showing the sites, and a bit of geology about a number of them. The display was moved to GemFest 2014 in early June.